Aaaarggh! Your favourite fairy tales – gone wrong! With wicked wit and the cunning of a big bad wolf, Roald Dahl turns six familiar stories really revolting! Prepare for an experience that’s gruesome and grisly, dastardly and daring and topsy-turvy. Maybe Cinderella doesn’t want a handsome prince? Perhaps Jack outwits the giant in an unexpected way? No one is safe – not sweet Snow-White, nor naughty Goldilocks, the rude porridge-gobbler. 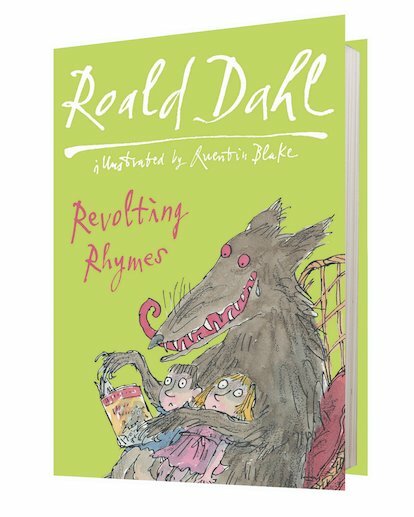 And the Big Bad Wolf had better watch out, because Little Red Riding Hood won’t go down without a fight… A brilliant hardback edition of a runaway rhyming classic!